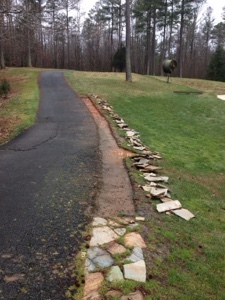 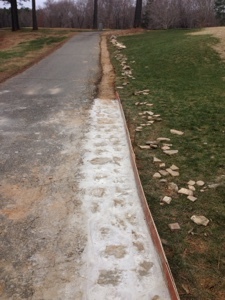 Making concrete/fieldstone cart path edging/pull off areas. 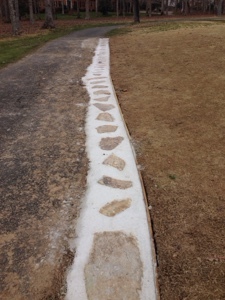 We had the rock originally embedded in the dirt but have decided to incorporate them into concrete since the rocks were continually moving out of place. 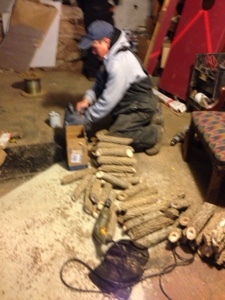 Scobar stump grinding here to grind 56 stumps. 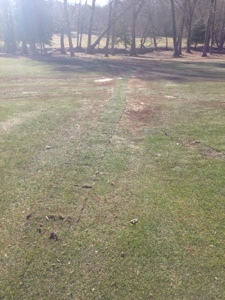 The crew has removed several trees around the course that were dead or causing too much shade, or crowding other more definite trees. 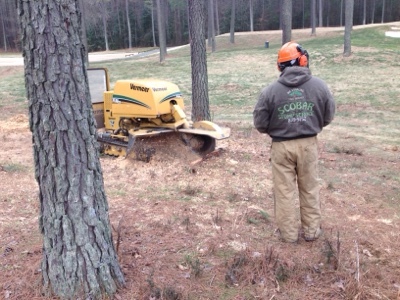 Our staff will work at picking up shavings and backfilling with dirt next week. 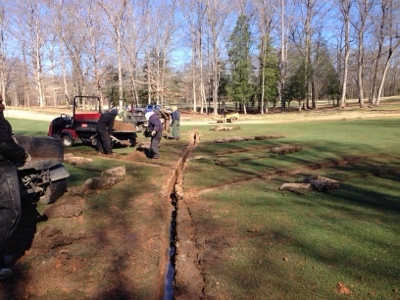 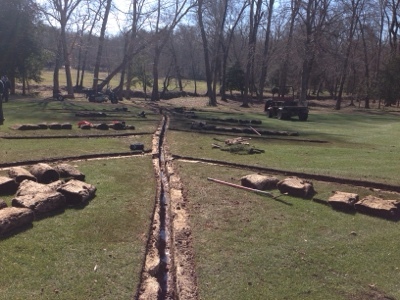 Installing French drains at the beginning of 18 fairway.